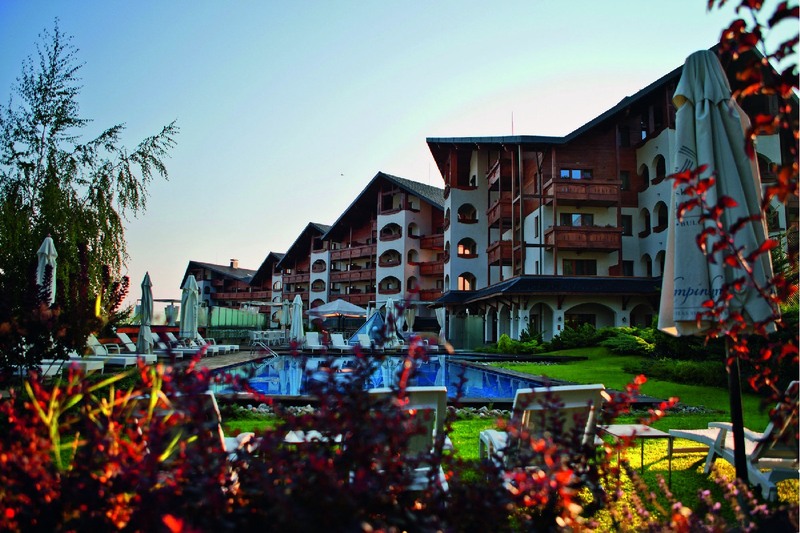 Kempinski Hotel Grand Arena Bansko is the only member of The Leading Hotels of the World in Bulgaria. HOTEL CAPACITY: 110 Deluxe rooms, 22 Executive Rooms, 17 Junior Suites, 7 Deluxe Suites, 3 Alpine Suites. HOTEL FACILITIES: The Gallery Restaurant, Mediterranean restaurant “Come Prima”, Sushi Bar and Teppanyaki Grill, Lobby Bar, Bella Vista Lounge, Vitamin bar, Piano Bar Sing Sing, La Veranda Bar and Lounge, Zalez Spa & Wellness Centre, exchange desk, solarium, indoor and outdoor heated swimming pools, 2 types of sauna (Finnish Sauna & Bio Sauna), 2 types of steam baths (Hammam and Aroma Steam Bath), Jacuzzi, fitness, ski storage, free WI-FI, Kids’ club – free during the official working hours of the club. Hotel accept animals up to 12 kg upon request at additional charge. Suitable for disabled people. DELUXE ROOMS: 35-40 m², twin beds or king size bed, mountain or town view, roll-in bed is available upon request, cable TV, telephone, mini-bar, hairdryer, bathrobe and slippers, air-conditioning, heater, free safety deposit box, bathroom. JUNIOR SUITE: 45 m², king size bed in the bedroom, mountain or town view, seating area, air conditioner, free safety box, mini bar, DVD player, private balcony, bath tub and a separate shower. Cancelation terms for the period 23.12.2015-02.01.2016: 45 days prior to arrival!!! Cancelation terms for the period 04.12.2015-22.12.2015 & 03.01.2016-09.04.2016: 15 days prior to arrival!!! Cancelation terms for the period to 03.12.2015 & from 10.04.2016: 7 days prior to arrival!! !